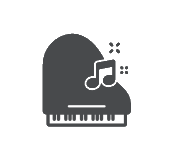 Piano/ Keys is one of the instruments that all fundamental principals of music is based off. It is fun and provides a great foundation for all musicians. We know that some traditional ways of teaching Piano does not leave much room for fun and creativity so we developed a new and diverse program that focuses on recording, performing, technique and theory to turn you into the master musician you have always wanted to be. Our Piano program includes all aspects of playing across all styles as well as a thorough focus on theory and musicianship. 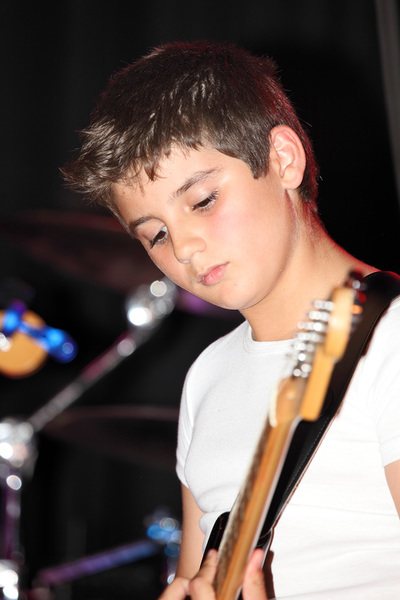 We cater for all students in all levels of their playing including AMEB and HSC and professional musicians. The ukulele is a wonderful way for students to start a love and passion for guitar and music or you may want to become a ukulele master. Either way, we have you covered. The ukulele is a a versatile and easy instrument to take with you and play your favourite tunes everyday. With a wonderful community of ukulele players in the Penrith and Blue Mountains area we can connect you with other people who have a love of the ukulele. 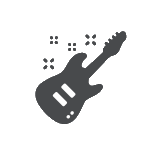 Whether it is Rock, Pop, Blues, Funk, Metal or Country we have you covered. Our guitar program is diverse and is developed with each student's tastes and goals in mind. We cater for all levels and playing styles as well as professional musicians wanting to tweak their skills. We will take you through from top to bottom including how to work your amps, pedals and other gear, how to read tab/chord charts and music. Our enrichment programs provide focused tuition in advanced musicianship, entertainment industry and performance skills. Our Creative Directors Kalinda Jade and Michael Chambers use their many years of experience as professional musicians and entertainment industry professionals to develop and enrich the skills of each student in the program. KJ Vox is specifically for vocalists and our KJ ROCK program caters for not only vocalists but also, drummers, guitarists, bass and keys players. Participants are required to audition for these programs. "Learning at Kalinda Jade Studios is fun and is a comfortable environment. My teachers have become my family and they have mentored me not just in music but also in life." "Kalinda Jade Studios helps you find new and hidden talents. They help you build confidence and the teachers always push you to be better. We know that they love us and we have all become a family at the studio." We at Kalinda Jade Studios believe that a knowledge and appreciation of music and the arts is fundamental to the development of each individual's mind, body and soul and that the arts provide unique opportunities for cultural exchange and community understanding. It is the mission of the School to provide quality education in music and the arts, especially to students going through their HSC, in an environment that nurtures achievement and creativity and offers to all who attend, regardless of artistic ability or economic circumstances, the opportunity to pursue their own personal development and enrich the quality of their lives. Kalinda Jade Studios...inspiring artists, one dream at a time. ​If singing is your life and passion or you just love to sing in the shower we will cater a program for you. At times vocal lessons can become too focused on technical applications and not enough time is spent singing the songs you want to learn to master. We will develop a program that finds the perfect balance. We specialise in audition and exam preparation and developing professional musician's skills but we love to teach singing to all levels. We are one of the leading facilities in Sydney that specialises in Creative Arts education for students with focused needs. We have over 10 years experience working with students requiring different levels of support and develop specialised programs to help achieve educational, behavioural and emotional goals. We are passionate, supportive and inclusive at KJ Studios and we want the best for every student and their families. ​Ask us how we can support you with your NDIS applications and funding goals. Drums are the heart beat of any band. Our Teaching Artists are working musician's who will not only get you to nail down your technique but also the skills and presence you need to perform with a band. From Funk, Rock, Metal to Jazz, we teach it all. Our job is to make sure that you become the most versatile player that you can be. Whether you are a 'Bedroom Warrior' or the next 'Rock God' we can design a program for you. Not only do we provide one on one tuition in HSC Music and Drama we also work all over Sydney providing programs and workshops within high schools to help develop HSC performance, Composition and Aural Skills. We have create a personal program for every individual student. No matter whether your topic is Music Of A Culture, Music of the 20th and 2st century or Baroque we have the expertise to get you through. We pride ourselves in working with our students to achieve the best marks possible. We do this through individual tuition, workshops, connecting with other schools, their teachers and students. This is why we have been able to maintain a Band 6 average for our students over the last 10 years. 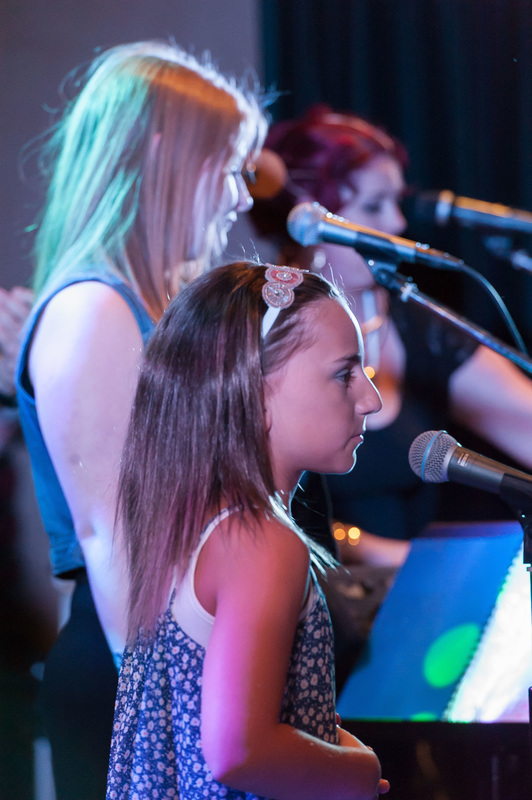 At the studio, we believe that the only 'Rock Star' in your lesson should be you and that everyone should enjoy the experience of learning an instrument. Whether you are 5 or 50 learning an instrument should not be a stressful experience. We will teach you everything you need to know and more but you can be sure that you will get the chance to tailor your lessons to suit you. Everyone learns differently so why would we teach everyone the same way? All of our teachers are also professional musician's with a passion for teaching so you can be sure that you are getting the expertise of musicians who work in the industry. KJ Studios has been providing expert tuition in Western Sydney for 10 years so whether you want to be the next Freddie Mercury or if you just want to be able to play guitar around a campfire we are here to support and guide you.
" I just want to say a huge thank you to you all, teachers, crew and students. My son didn't perform as this was his first concert and was adjusting to lights and sound. While he did fall asleep at the end, he was welcomed into the Kalinda Jade Studios family last night like it was the most important. But I saw you teachers do that with every kid. When I was a kid it was boring piano concerts in some boring hall." "These kids were supported the whole way through, by multiple teachers if needed. They played music they wanted to play and we were thoroughly entertained. I am so looking forward to seeing Sam with the confidence to get up there with you guys and ROCK!" "Huge thank you to Kalinda and all the team at Kalinda Jade Studios for an amazing concert yesterday afternoon. Myself and all of my guests had a fantastic time and were blown away by the talent of the students and teachers alike. You guys do an awesome job teaching and guiding your students and should be really proud of yourselves. Can't wait for the next concert!" 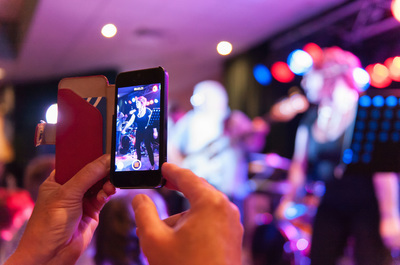 Our concerts are unlike any other music studio event, you have ever seen before. See for your self. Click on the video below, and be prepared to be blown away..